A selfie uploaded Monday shows a woman taking the latest "breast challenge." A woman puts her palms together behind her back in a photo posted Sunday as part of the "behind-the-back challenge." 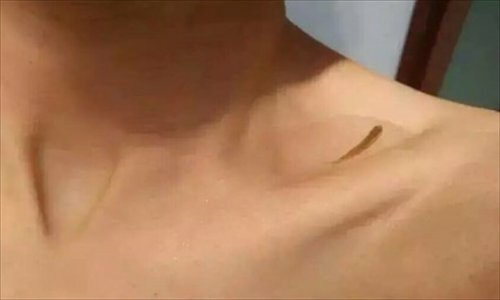 A live fish swims in a woman's collarbone indentation filled with water in a photo posted Saturday as part of the "collarbone challenge." 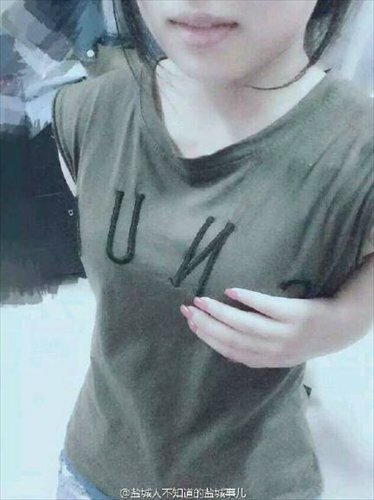 Chinese starving to show off their bodies have taken to social media's latest selfie meme. Thousands of people have posted photos in the "breast challenge," showing themselves touching their chests from behind their backs as testament to their slim figures. So far the selfie trend has seen more than 50 million hits and 39,000 comments on Sina Weibo, China's version of Twitter. The "challenge" is the latest of a growing list of body image memes born on Chinese social media geared toward women to exhibit what are perceived to be ideal beauty standards. 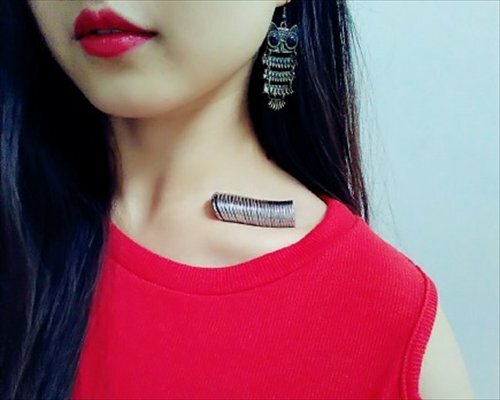 Previous memes include the similarly performed "belly button challenge," as well as other feats such as balancing coins on a collarbone and clasping hands behind the back. While the trends continue to garner many gawkers, some comment that keeping healthy is more important than having a stick-thin figure. Experts also warned those that attempt the challenges run the risk of dislocated shoulders.